I can’t believe I didn’t blog about this sooner… back in November/December time I went along for the ‘experience’ that is the Mulberry Sample Sale. As a pretty devoted Mulberry fan, this is the sort of experience that’s on a par with the excitement you see on those kids faces in the ‘We’re going to Disney World’ adverts, but for girls with a bit of a shallow, fashion obsessed side (that would be me). So along I went, first thing in the morning of the Mulberry Sample Sale (yes, I took the morning off work so I could go) thinking I’d get these just before the opening time of 10, wander in, pick up what I wanted, pay (suffer from a dose of buyers remorse) and head back to the office. But in reality, I arrived half an hour before opening to be greeted by a line that was already snaking around the block and continued to grow behind me… word of advice, if you go to the sample sale, and want to brave the first day – get there early. Anyway, my overactive imagination aside – it was pretty mad. I’m glad I took the morning off work, as the line to pay was long and took around 40mins to work my way through. Describing the morning aside, what did I buy – I went in there with a budget in my head, and came home with two bags that I love very much. One was the sensible bag – the East-West Bayswater in ‘Olive’ (above) a nice neutral shade that looks smart and classic. The other bag is not quite as sensible, but that’s why I love it. This is the Sparkle Tweed Tillie with Rose Gold hardware. This is the bag that caused such a frenzy in the sample sale at one point that a woman was carted out by security. As much as I love Mulberry, I would not get hysterical or physical with other shoppers over a handbag. I was actually lucky enough that one of the lovely sales assistants (bless their patience with slightly crazed women going mad for reduced priced handbags for three days straight) was kind enough to sneak this and another sparkle tweed (the Tillie Hobo) my way. Moral of the story – have manners and be patient. Once I had the bags in my hand the other women were like vultures – asking if I was keeping them both (I wasn’t, I can’t live off fresh air) and asking if they could have them when I decided – then loitering around me until I decided. 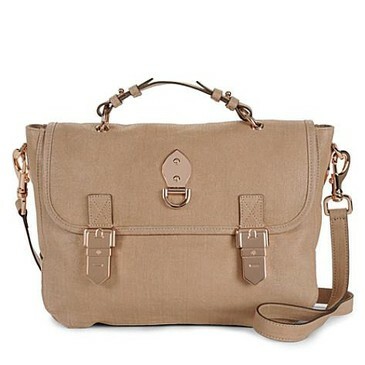 I decided on the Tillie satchel rather than the hobo as it was a little less expensive and I like the long strap. I do love both of these bags – I have a Mulberry problem! What did I think of the sample sale overall? Madness. Would I do it again? In a heartbeat (I’m already saving for next year to soften the blow). Bought by me. My credit card is still smouldering from the damage. Well worth going to – already planning (saving) for the next one! I love my Mulberry bags, well worth the money I think – such classic styles, will make any outfit look decent! I love the Tillie -it’s quite a delicate bag so can’t wear it everyday but that makes me love it all the more! Here in the US this past year we had a Target / Mulberry Collaboration. The style was very much Mulberry ( I bought 2 bags) but the materials were very cheap. Vinyl,denim and stray strings from the fabric. So, I returned them. I heard about that collaboration, I did want to get one but then thought that it just wouldn’t be the same if it wasn’t leather! Next time I don’t think I’d go on the first day, knowing how it works. Maybe on the second day instead. This was my first year going, but hope to go back next year. why second day? Is it better stock? Thanks! why on the second day? is it better stock or price? Thanks! How did you know about this sample sale? Ooh I’d love to go! So how much did you have to pay for them? Bargains? Hi, how did you hear about the sample sale? Is it ok to ask how much the bags were? I am obsessed with Mulberry bags – I already own 3 within the space of a year and a half… a little too obsessed perhaps! There is another sale next week. What is the general price range of the bags? How much are the bags roughly? Hi, there seems to be another sample sale coming up. Do you know where to register to attend? I have an invite,to the sample sale next week, is it worth going on the third day? would there even be anything left? !